The beautiful calla lily, with its elegant, trumpet-shaped blooms is a popular potted plant. It is especially a top choice for gifts and if you find yourself having been gifted one, you may be wondering what to do with it next. Is keeping callas year round possible or is it a one-time beauty? Let us help you figure it out. Are Calla Lilies Annual or Perennial? Many people treat their gift calla lilies as annuals. 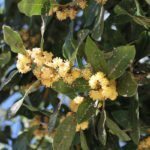 They receive a potted flower, or buy them for spring decorating, and then toss it when the blooms are done. In truth, though, calla lilies are perennials and you can actually save your potted plant and watch it bloom again next year. Will calla lilies come back? It depends on how you treat your plant and where you put it for the winter. Keeping callas year round is possible, but how you treat your plant to get blooms again next year will depend on your hardiness zone. You can rely on calla lily hardiness through zone 8 or maybe 7 at a stretch. If you live somewhere colder, you will need to bring your plant indoors for the winter. One solution is to keep your calla lily potted. You can take it outdoors for a patio plant in the summer and bring it in again before the first frost. You can even allow it to go dormant for the winter by simply not watering it until the spring. 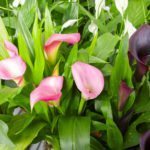 Another option is to put your calla in the ground in your garden in the spring or summer, after the last frost, and to remove it before the first frost of the fall or winter. To do this, dig up the plant and keep it dry until the leaves brown. Remove dead leaves and store the bulb in dry soil or sand. Make sure it stays around 60 to 70 degrees Fahrenheit (15 to 21 Celsius). Replant the bulb outdoors in the spring. If you do keep your calla lily year round in a pot and it begins to decline, producing fewer flowers, you may have a case of crowded rhizomes. 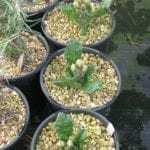 Every few years, divide the plant into three or four sections to store for the winter. 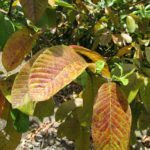 Next spring you will have more, healthier plants. Calla lilies are perennials, not annuals, and with just a little extra effort you can enjoy your flower year after year. Read more articles about Calla Lilies.